Today, Blood Harvest Records announces October 31st as the international release date for Cadaveric Fumes' The Forsaken Triptych 2012-2016 CD. This special collection compiles all of the band's recorded material to date, from 2012 to 2016, including 2012's Macabre Exaltation demo (which Blood Harvest released on 12″ vinyl in 2013), 2014's Entwined in Sepulchral Darkness split 12″ with Demonic Oath, and this year's critically acclaimed Dimensions Obscure, which Blood Harvest released on 12″ vinyl. 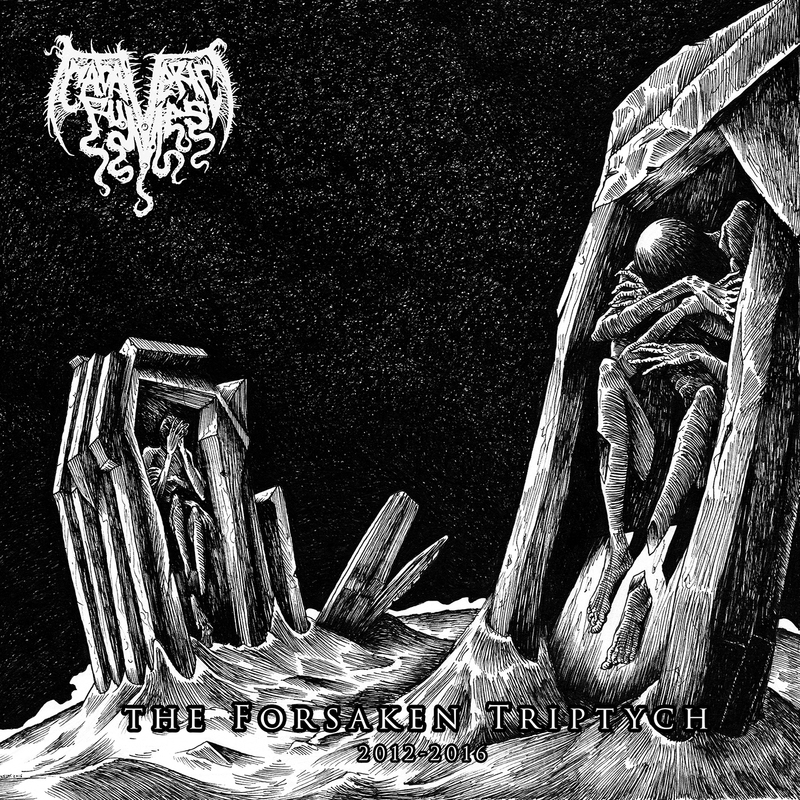 The timing for The Forsaken Triptych 2012-2016 could not be any better, as not only is it the first time Cadaveric Fumes have their recordings on CD format, but it more so charts the quartet's meteoric rise in the underground. Back at the band's beginning, one could already hear that a French death metal uprising was at hand, and their split mini-album with countrymen Demonic Oath put further punctuation on this claim. But it was Dimensions Obscure, released this past May via Blood Harvest, where Cadaveric Fumes truly arrived. 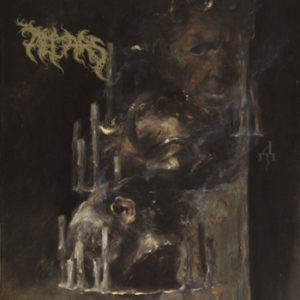 Compared to their earlier work on that split and the preceding demo, on Dimensions Obscure, Cadaveric Fumes forewent the all-manic/all-the-time morbidity for a highly dynamic and nuanced take on death metal. Granted, flashes of mid '80s insanity and early '90s darkness remained, but a cool confidence was at play here, each passage measured to inflict both maximum cranial damage and spiritual atmosphere. 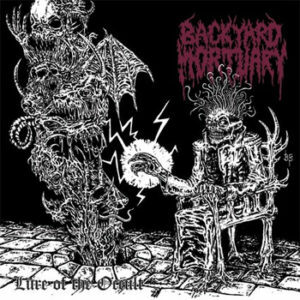 These songs exuded a patience and maturity most death metal bands take many albums to accomplish, if at all, and all without compromising the core values of total and utter DEATH METAL. Now Blood Harvest has delivered the definitive Cadaveric Fumes collection, capturing their early era for all posterity before the band plans their next, no-doubt-brilliant strike. If you've yet to jump on the Cadaveric Fumes bandwagon, The Forsaken Triptych 2012-2016 is the perfect jumping-on point. Otherwise, you snooze and you pose!